A consistent theme in the Encyclopedia of Consumption and Waste: The Social Science of Garbage is the proliferation of single-use plastic goods and packaging over the past half century. These goods are affordable if we only consider the price at the cash register and not the long-term effects they may have on ecosystems. As Skye Moody’s entry on Société BIC discusses, these effects are considerable. The disposable razor, the disposable pen, and the disposable lighter are iconic symbols of waste. Société BIC pioneered the manufacture and sale of these cheap, mass-consumer products in the second half of the 20th century. In the early 21st century, billions of discarded plastic pens, butane lighters, and personal shavers appear in landfills, litter public land, and wash up onto the world’s beaches, their petroleum-based plastic content augmenting the worldwide accumulation of toxic waste. Société BIC has developed life-cycle assessments of its products, but the continued disposability of its product line encourages consumers to damage ecosystems across the globe with plastic waste. Millions of consumers use these products. For years, I was one. 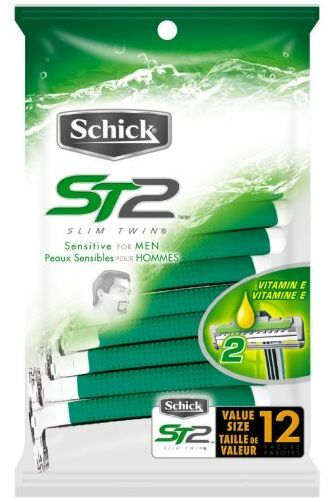 Fearful of hacking my face with a safety razor, I used disposable blades housed in plastic bodies, and threw them out with the rest of my garbage. This spring, buoyed by multiple endorsements on the Electrical Audio forum (a community having one of its amazing bbq events this weekend), I purchased a Merkur Futur safety razor, set of blades, shaving cream and a badger brush. 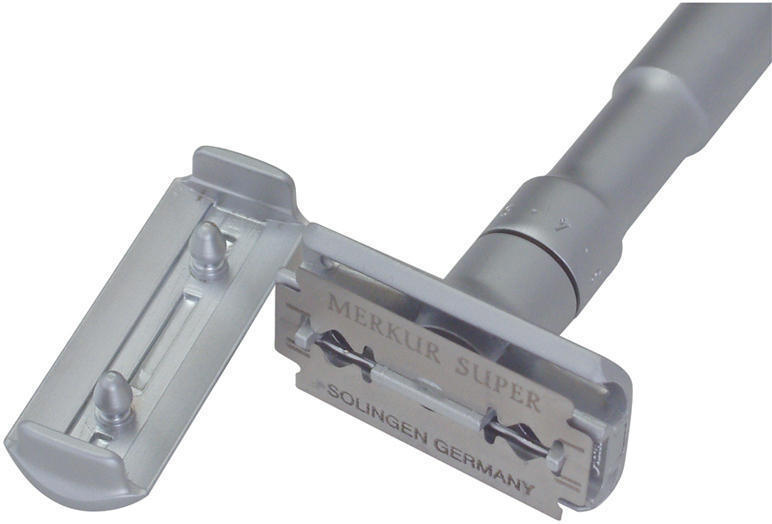 The Merkur Futur is easy to set up, and adjusting the angle of the blade is straightforward. Worried about a bloodbath, I slowly touched the blade to my cheek. The blade felt more prominent than I was used to with disposables, and I was cautious as I lightly dragged it down. Gradually, I got used to the sensitivity, and have not cut myself with any more frequency than I had with disposables. Learning the technique of several shorter strokes combined with hot water, I now get closer shaves than I did before. A steel can prepared for used safety razor storage. 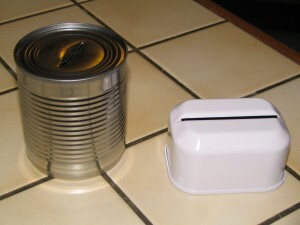 You can also purchase a razor bank (right). I have much less waste now. Each side of the double-edged blades gets me a good week’s worth of daily shaves. Once every two weeks, I place the old blade in an old tomato paste can with a slot in the lid. By my estimate, I will fill the can sometime near the end of 2014. In the time between purchasing the Merkur Futur and filling that can, I would have used about 80 disposable razors. The initial cost of the Futur (with brush, blades, and cream, about $100) was more than I usually spent at one time on disposables (about $15 for a dozen), but over a prolonged period of use, I will save money. The blades I now use cost about 50 cents apiece, less than half of what I had been spending on disposables. Within two years, the investment should pay off. This fall, I’ll teach another section of SUST 405 Production, Consumption, and Waste. One of the assignments I give in that course is a personal waste inventory, a useful way to become aware of how systems of production and disposal shape the options individuals have in deciding what to use. Through past inventories, I have been aware of my disposal of razors, and I am glad that the availability of good safety razors allows me an alternative to plastic-encased razors. Furthermore, this alternative is superior. I get a better shave than I did before, and I produce less waste than I did before. Committing to use a safety razor is a better result for my face, for my wallet, and for the environment. It’s a more sustainable way to shave. This entry was posted in consumption, recycling, waste on June 21, 2013 by Carl Zimring. If you read this blog for discussions of waste and waste management, well, this AESS is the conference for you. Several of us are participating in Flows of Waste panels. The first, on organic waste, meets Thursday at 11am. 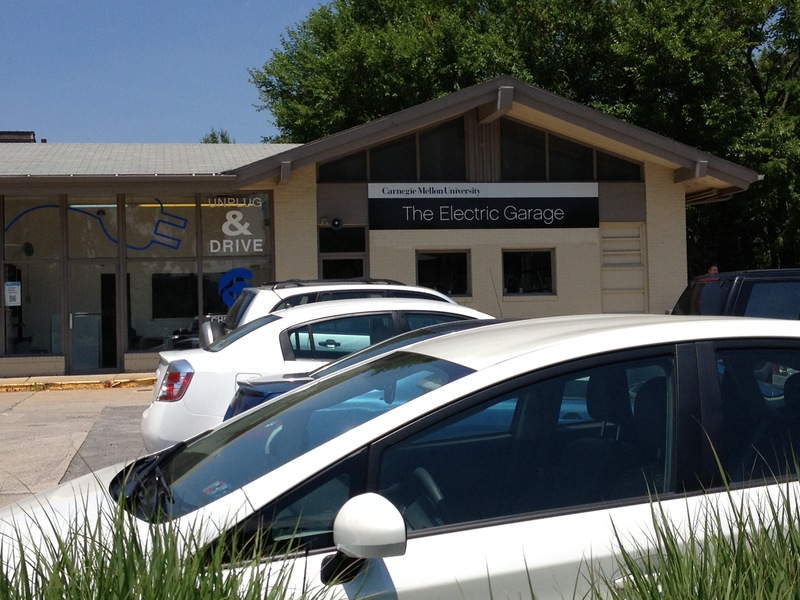 The second, on e-waste and heavy metals, meets Friday at 9am. The third, on solid waste management, meets Friday at 11am. I’ll be discussing historical trends in the Chicago metropolitan area’s waste management at the third panel. These are only three of the many panels at AESS; for a full list, click here. This entry was posted in events, waste on June 19, 2013 by Carl Zimring. 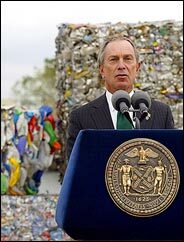 In the closing months of Mayor Michael Bloomberg’s administration, New York City’s waste management practices have room for improvement. A quarter century after the Mobro 4000’s voyages embarrassed New Yorkers, the city still ships its garbage to distant landfills. The residential recycling rate hovers around 15%, well below that of San Francisco (though still well above Chicago’s rate), and most food waste goes into landfills. The latter may be changing soon. The New York Times reports the city will soon announce that it is hiring a composting plant to handle about 100,000 tons of food waste annually. While that sounds like a lot, in a city with over 8 million residents, that works out to about one-tenth of the wasted food in town. Still, carting food scraps to industrial composting facilities would represent a major diversion of waste away from landfills. Increasing the volume at local composting facilities might also make it possible to process potentially compostable resins used in packaging materials and bioplastic cutlery (which do not break down unless temperatures are sufficiently hot, a problem in small-scale operations). While any program would not become fully operational until into the next mayor’s term, the Times reports at least two of the Democratic candidates (Christine Quinn and Bill de Blasio) appear to support expanding composting. Should all go according to plan, the program will grow in the next three years. Sanitation officials said 150,000 single-family homes would be on board voluntarily by next year, in addition to more than 100 high-rise buildings — more than 5 percent of the households in the city. More than 600 schools will take part as well. Under the program, residents collect food waste — like stale bread, chicken bones and potato peels — in containers the size of picnic baskets in their homes. The contents are then deposited in larger brown bins on the curb for pickup by sanitation trucks. It remains to be seen whether New Yorkers will embrace the program, given that some may cringe at keeping a container of potentially malodorous waste in a typically cramped urban kitchen. Composting is one way to reduce the materials in the city’s waste stream. Another would be to eliminate or reduce the single-use shopping bags retailers give customers in New York City. Several other municipalities across the United States either charge a fee for plastic bags or outright ban them. Should New York City follow suit? 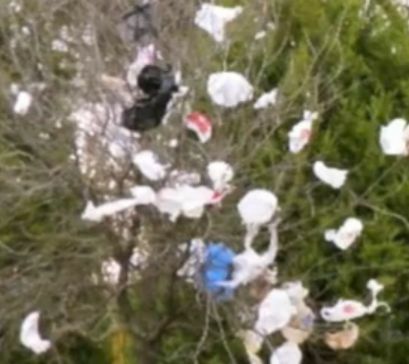 All across the country, plastic bags are the bane of recycling programs. When carelessly placed into recycling bins for general plastic — which they often are — the bags jam and damage expensive sorting machines, which cost huge amounts to repair. New Yorkers interested in adopting a proven stick to change the behavior can discuss the idea of a plastic bag ban in Park Slope (Greenwood Baptist Church, 461 6th St. at the corner of 7th Ave., to be specific) at 7pm on Monday, June 24. Brad Lander from the city council will be one of the speakers discussing how a plastic bag ban could work to lessen the environmental and economic costs these bags incur. No word as of yet on which (if any) mayoral candidates would support a ban. Food waste and single-use plastic bags are two vexing issues in municipal solid waste, ones that deserve the discussion they are getting in New York City. This entry was posted in consumption, recycling, waste on June 17, 2013 by Carl Zimring. One of the themes covered in several entries of the Encyclopedia of Consumption and Waste: The Social Science of Garbage is the vast proliferation of plastic wastes generated over the past half century, and the toll these wastes have had on ecosystems throughout the world. Plastic bags, which jam sorting machinery at recycling facilities, choke aquatic life, and clog sewer systems, impose particular difficulties on modern societies and other species. This entry was posted in consumption, Encyclopedia of Consumption and Waste, events on June 7, 2013 by Carl Zimring. An update on my two sustainability seminars at Pratt for Fall 2013. When these courses were originally added to the schedule, they were, respectively, a special topics course and a provisional course. Now that the Institute has approved them as permanent additions to the undergraduate catalog, we have raised the enrollment caps in each. Each of these courses may count as a Social Science or Philosophy elective, SUST 201 is required for the new Sustainability Studies minor, SUST 405 is an elective for the minor, and there are no prerequisites for either course. This entry was posted in consumption, recycling, students, teaching, waste on June 5, 2013 by Carl Zimring. More proposals are in the works, but those two are confirmed. Say hi if you attend either. This entry was posted in events, history, recycling, waste on June 2, 2013 by Carl Zimring.